With speed cameras likely coming to Roosevelt Boulevard, state Senate Democrats hear testimony on improving pedestrian safety. Latanya Byrd has become an advocate for road safety in the nearly six years since her niece, Samara Banks, and Banks’ three young boys were killed in a crash on Roosevelt Boulevard near 2nd Street. The crash, which made headlines and led to prison sentences for two drag-racing drivers, inspired Byrd to travel to Harrisburg and fight for speed cameras on the Boulevard. Byrd was one of several advocates, experts and officials who testified Friday morning at a state Senate Democratic Policy Committee hearing on pedestrian safety held at Holy Family University, minutes from the Boulevard. The hearing was hosted by state Sens. John Sabatina Jr. and Lisa M. Boscola, who represents parts of the Lehigh Valley. Its purpose was to gather ideas and policy recommendations for ways the state can make streets safer in Philadelphia and around the state. And the notoriously dangerous Boulevard was never far from the discussion. Gov. 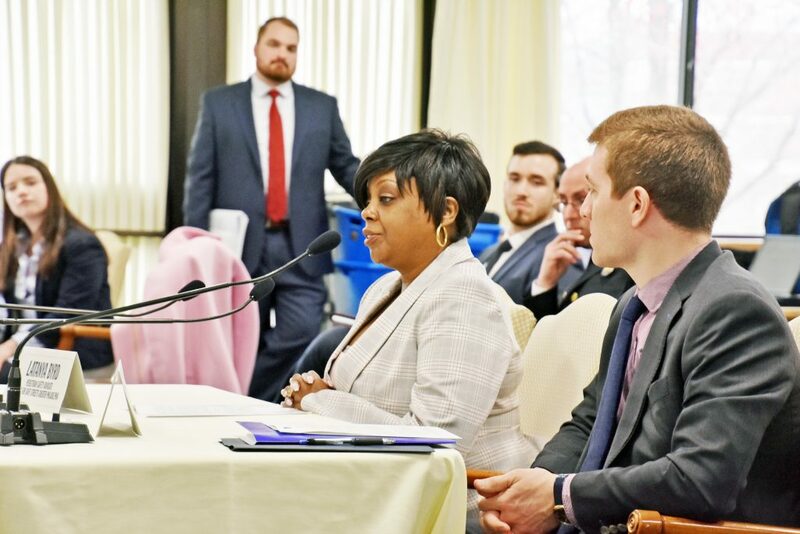 Tom Wolf signed legislation allowing speed cameras on the Boulevard last fall, and Ninth District Councilwoman Cherelle Parker introduced a bill last month authorizing the cameras. A City Council committee hearing on the bill is pending. From 2013 and 2017, nearly 2,700 crashes were reported on the Boulevard and 139 people were killed or seriously injured, according to Police Capt. Mark Overwise, commander of the department’s Accident Investigation Division. Recently, police districts in the Northeast began deploying officers to crack down on aggressive driving and panhandling on the Boulevard. Sixteen officers were assigned to the road between Adams Avenue and the Bucks County Line on Thursday, March 28, from 8 a.m. until midnight. The effort led to 34 moving violations, 53 vehicle investigations, two confiscated vehicles and one DUI, according to data provided by 15th Police District Capt. John Walker. Six panhandlers were also encountered by police and connected with city resources, Walker said. “We’ll be doing (deployments) intermittently throughout the spring and summertime to try to curtail some of these behaviors,” Walker said in an interview with the Times. He said the initiative was based on input at community meetings and a number of road rage incidents on the Boulevard. At the hearing, Overwise said Philadelphia lags behind other cities when it comes to traffic safety. Philadelphians are more than twice as likely to be killed in a crash compared to those living in New York or Boston. “Speed is a big factor,” Overwise said after he was asked why Philadelphia’s rate was so much higher. Many of the panelists spoke of the need to slow drivers down through street design and increased enforcement. It’s a key part of the city’s “Vision Zero” plan to eliminate traffic deaths by 2030. “Speed is a fundamental predictor of crash survival,” said Christopher Puchalsky, of the city Office of Transportation, Infrastructure & Sustainability. 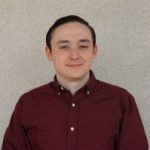 Nine out of 10 pedestrians hit by a car traveling 40 mph die, while half of people hit by a car going 30 and only 10 percent of people hit at 20 are killed, according to data presented by Puchalsky. Several of the panelists urged state legislators to pass bills prohibiting cell phone use while driving, legalizing protected bike lanes and pedestrian plazas and increasing fines for drivers who kill pedestrians. They also spoke about a proposal to allow local law enforcement to use radar guns. Pennsylvania is the only state in the country that prohibits police officers from using the technology. Overwise said the city supports legislation giving officers the right to use speed guns. He also said he supports expanding automated speed cameras beyond the Boulevard to other dangerous streets. Representatives from the Department of Streets, SEPTA, PennDOT and the Clean Air Council also testified at the hearing. Sabatina, who is the minority chairman of the Senate Transportation Committee, said he felt the meeting was a way to get a lot of experts in the same room to talk about road safety issues. 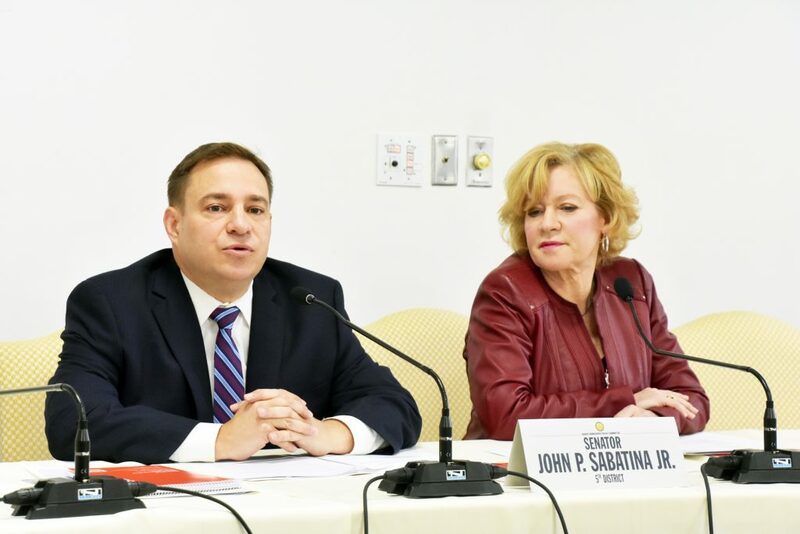 “There’s a lot of proposals, a lot of bills, a lot of suggestions out there on how to improve not just the Roosevelt Boulevard but transportation and pedestrian safety as a whole inside Philadelphia and outside as well,” Sabatina said.